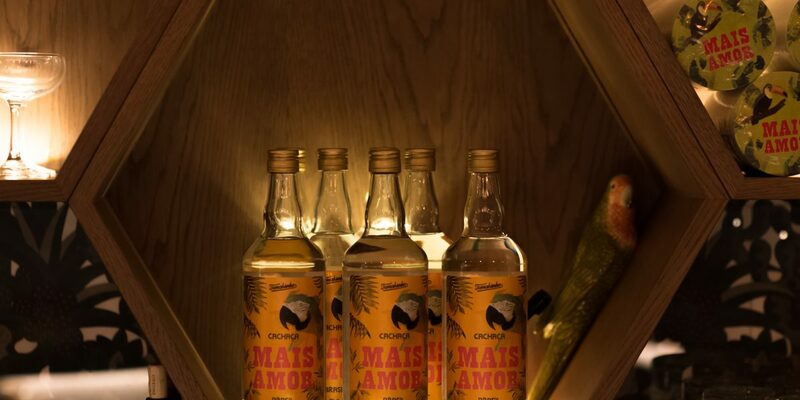 Temakinho is a chain of exciting restaurants specialising in Brazilian / Japanase Sushi. 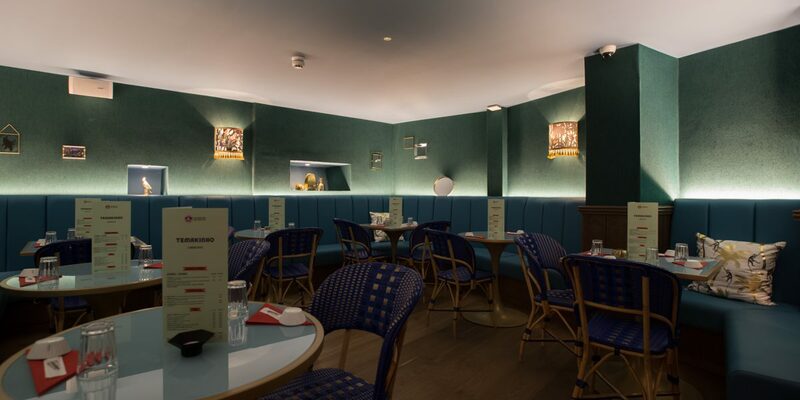 This is their first venture in the the UK with the other branches located in Italy and Ibiza. 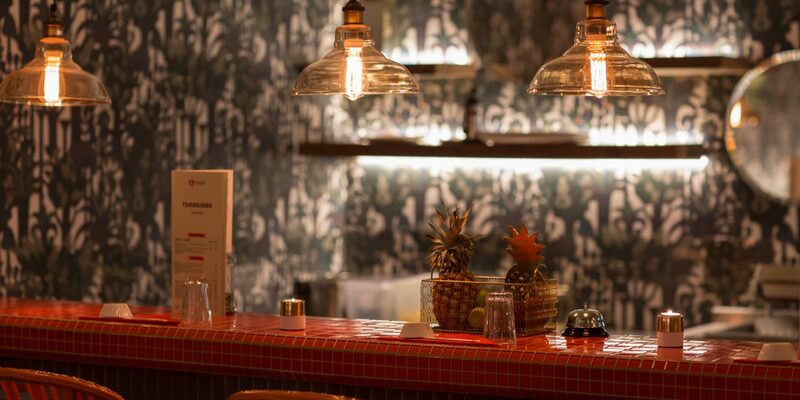 Located in Old Compton St, Soho and spread of three floors, Temakinho Soho took over from an existing restaurant. The unit was stripped out entirely, we relocated the food hoists and strengthened the floor creating a better work space. We formed an internal storage area in the rear yard including re-roofing parts of the cover. Once the enabling works had been completed, we set about fitting out the space. A mixture of black & white stone chevron tiles and oak flooring runs through the basement, which is offset against the wild hand-cut paper wall finishes. 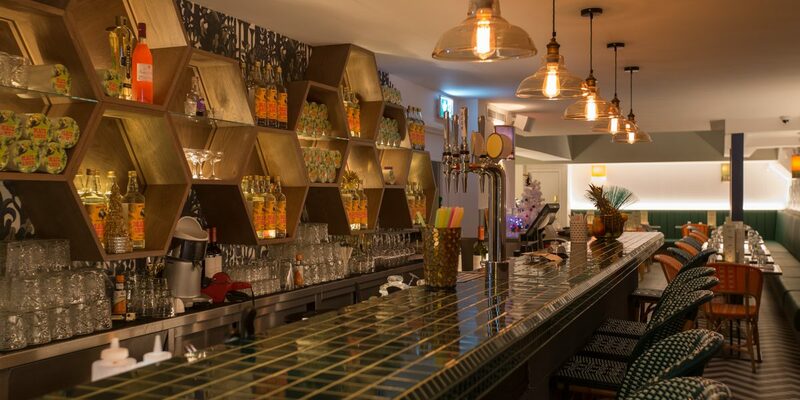 The basement bar is tiled completely in green mosaics with a beautifully lit hexagonal back bar. The WCs are located in the basement, clad head to toe in hexagonal mosaics. Space was at a premium so concealed sliding doors were installed to avoid any tight squeezes. The ground floor bar is again tiled completely in coral-coloured mosaics with the wild hand-cut paper adorning the walls. The first floor area is home to the staff areas and storage.